June 25, 2018	Comments Off on All British Cars launches its Jaguar and Land Rover showroom in San Juan City. June 25, 2018	Comments Off on Introducing! The new Macan Sport! Elegance gets a new name with the new Toyota Alphard! 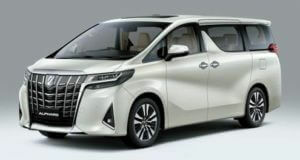 June 25, 2018	Comments Off on Elegance gets a new name with the new Toyota Alphard!